Waxenberg Wayntraub, PLLC provides quality, personalized financial guidance to local individuals and businesses. Our expertise ranges from basic tax management and accounting services to more in-depth services such as audits, financial statements, and tax planning. Our mission is to help clients maintain financial viability in the present while taking a proactive approach to achieve future goals. This requires open communication to reach an understanding of our clients' needs, thorough research, and sound analysis. Waxenberg Wayntraub, PLLC is dedicated to meeting these goals with high standards of excellence and professionalism. 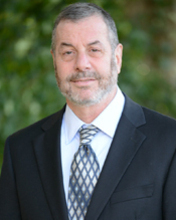 Mr. Waxenberg is a 1978 graduate of Michigan State University where he received his Bachelor of Arts degree, majoring in Accounting. He is licensed to practice accounting in the State of Michigan. Ben formed his own practice in 1987 and brings over 30 years of public accounting experience to Waxenberg Wayntraub, PLLC. Ben has been responsible for servicing clients in nearly every sector of business with a concentration on medium sized, growth-oriented companies. He has an extensive background in strategic planning and management advisory for closely-held businesses including business start up and tax planning. Ben is a member of the American Institute of CPAs and the Michigan Association of CPAs. He also obtained a Personal Financial Specialist (PFS) designation from the American Institute of CPAs. The AICPA established the PFS credential for CPAs who specializes in personal financial issues. In today's financial world, developing sound strategies for a secure future can be complex and overwhelming. Ben believes our clients deserve the best advice in planning and monitoring their financial goals. As a Personal Financial Specialist, he is able to stay abreast of today's cutting-edge financial strategies and provide objective and competent advice. Mrs. Wayntraub received her Bachelor of Arts degree in Business Administration from Wayne State University in 1992. 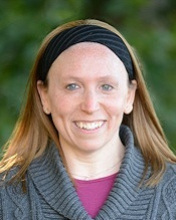 Susie joined Waxenberg Wayntraub, PLLC in 2006, after 15 years in private accounting, and received her license to practice accounting in the State of Michigan in 2011. She became a partner in 2013. Susie is a member of the American Institute of CPAs and the Michigan Association of CPAs. Susie services the needs of our small business clients by providing accounting and tax services, including preparation of corporate and individual tax returns. Her designation as a Certified ProAdvisor and extensive knowledge of QuickBooks make her an excellent resource for clients. She enjoys assisting small business owners in improving their accounting practices, and specializes in training personnel. Susie provides review and compilation services for businesses in a variety of industries, including construction, real estate, and professional services. She is the leader of the audit teams provided by the firm for several non-profit organizations. Amy joined Waxenberg Wayntraub, PLLC in July 2017 as a staff accountant. She obtained her bachelors degree from Thomas Edison State College in 2011. Amy has close to ten years of experience working as an Assistant Controller in a mid-sized private company and comes with extensive experience in both accounting and QuickBooks. Amy will be working in both our tax and accounting departments and is a great asset to our team. Rachel joined Waxenberg Wayntraub PLLC in 2014 and manages the day-to-day operations of the firm. She also provides administrative support to the staff and provides our clients with excellent customer service ensuring their needs are met quickly and accurately.